Join 9 Maple Avenue and Travel Directions, Inc. on a journey through Scotland to explore and taste Single Malt Scotch at Scottish distilleries and visit many historical sights. Even though the focus of this trip is single malt scotch, we will be visiting many other historical sights as well including: Edinburgh Castle, St Giles Cathedral, Inverary Castle, Urquhart Castle, Dufftown, Ballindalloch Castle, the Speyside Cooperage and the Blair Castle. Distilleries include: Oban, Ben Nevis, Glenfiddich, Balvenie, Glenlivet, Aberlour, Macallan and Dalwhinnie. We we also visit the Scotch Whisky Experience in Edinburgh. 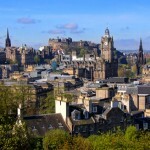 If you enjoy a relaxing trip filled with pubs, distilleries, sights and good company, this trip to Scotland is for you. This special, once-in-a-lifetime experience will bring you to the heart of Single Malt Scotch making. 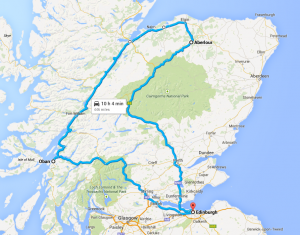 And we will also visit some of the top historical places in Scotland. Trip leaders are Matt Ferguson, a whisky connoisseur from 9 Maple, and Charles Grabitzky from Travel Directions, who leads small groups around the world. 9 Maple Avenue is an intimate jazz bar set in Saratoga Springs, NY. 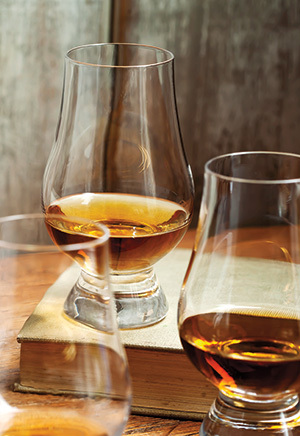 It has the largest selection of whiskies between Manhattan and Montreal. It holds monthly Angel’s Share whiskey tastings. 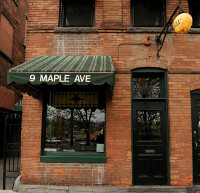 Matt Ferguson has worked for 9 Maple for more than a decade and is a connoisseur of whiskey from around the world. Scotland is part of the United Kingdom and covers the northern third of the island of Great Britain. It shares a border with England to the south, and is otherwise surrounded by the Atlantic Ocean, with the North Sea to the east and the North Channel and Irish Sea to the southwest. 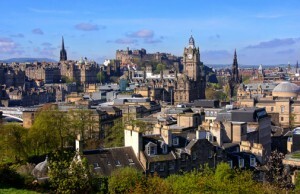 This tour includes three nights in Edinburgh, the capital city of Scotland. 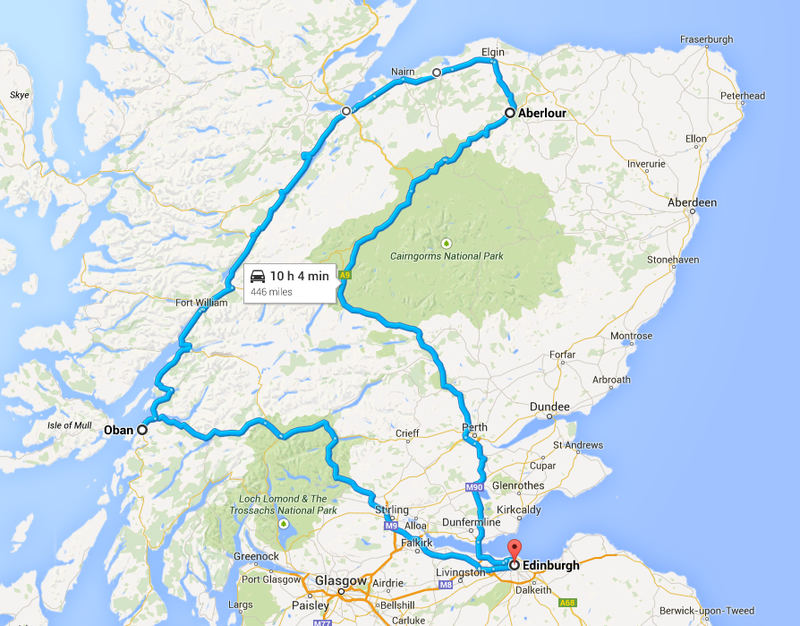 We will also travel in a loop through the Highlands and Speyside regions with an overnight stay in Oban and a four-night stay in Aberlour. 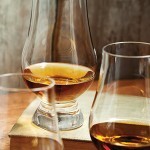 We will also visit the Scotch Whisky Experience in Edinburgh. The hotels for this Scotland adventure were picked for their excellence in both quality and location. 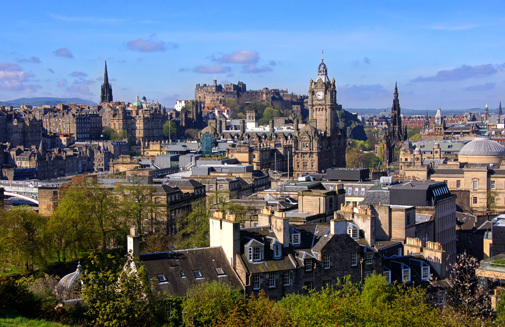 The Best Western Plus Bruntsfield Hotel is a 4-star town house hotel just a short stroll from Edinburgh city center. It’s perfectly located for visiting all of the major sights and is located near many restaurants, pubs and shops. Sitting on the North Pier, overlooking the scenic islands and Oban Bay, the Columba Hotel Oban is a perennially popular and very well know Oban hotel offering fantastic accommodation with a great focus on guest service. 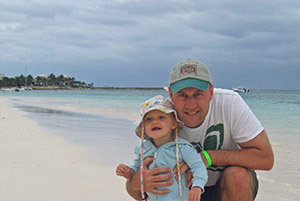 It is a perfect location to explore the vibrant seaside town which has so much to offer. A grand Victorian mansion set in ornate terraced gardens and commanding views of the beautiful Spey Valley below, the Dowans Hotel has all the comforts of the 21st century without losing any of the building’s original Victorian charm. 2 Nights in Edinburgh, Private coach to Oban for one night, Private Coach to Aberlour for 4 nights, return to Edinburgh for 1 night.